Step into The Maker’s Studio in downtown Excelsior, and you’ll discover finely crafted wood furniture, textiles, and more. 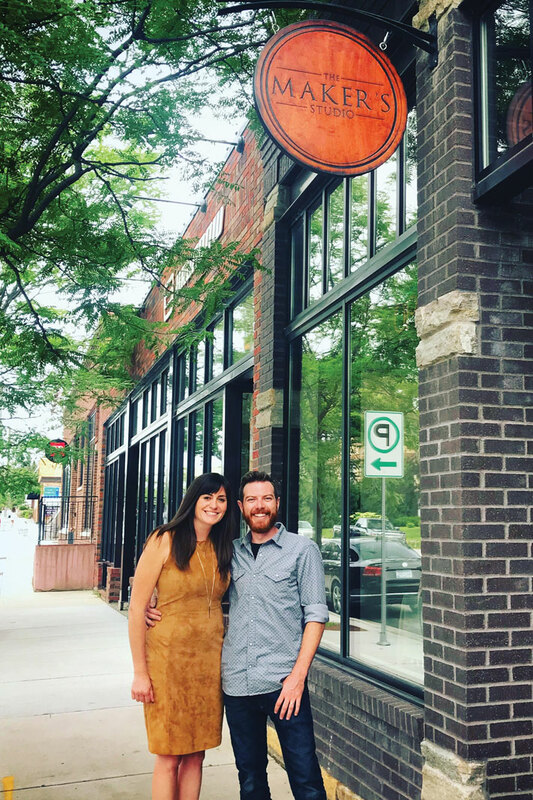 Curated by owners Ryan and Suzanne Huggett, the shop is the culmination of the young couple’s dream of showcasing handmade wares in a retail environment. The studio’s current wares include work by Ed Neu of MapleRock WoodWorks in Buffalo, Brandon Mathias Sweet of Sweet Woodworks in St. Paul, and Keith Fjelsted of Fjelsted Nord in Minneapolis. The list of makers will expand as the Huggetts gear up for their grand opening during Excelsior’s Apple Day on Saturday, September 22. More information about The Maker’s Studio.